As you guys know, we've been in our (very first) house for several months now, and the kitchen has yet to be completed. It's so funny how these things take wayyyyy longer than you initially expect lol. Ah, new home owner delusions...lol. 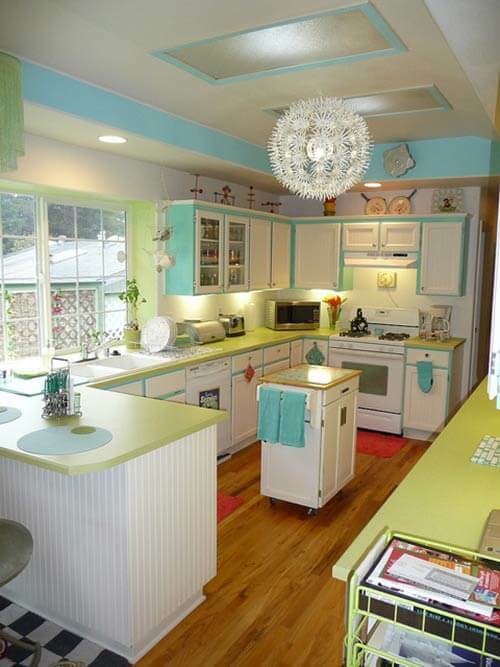 At any rate, I've been looking at other kitchens online for inspiration, and had to share my love for all things retro. 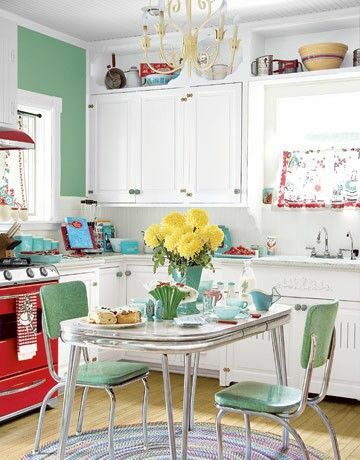 Our kitchen design is retro farmhouse/cottage. As of right now we have minty green walls and small pops of yellow (wall clock, and homemade drapes) throughout the galley style room. However, I've been toying with the idea of painting our kitchen door. I initially thought yellow would be the way to go if we choose to paint the door a fun color. 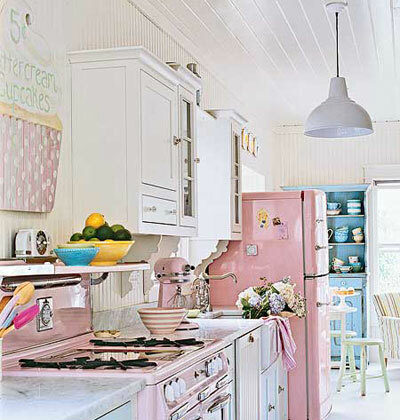 But these days I am toying with the idea of going pastel pink! Yep, PINK. It's kind of ironic because I think the door was likely pink back when the house was built. We've discovered old pink paint underneath the once off-white(we have since painted them crisp white) trim and doors in the living room - even the window was once painted pink. 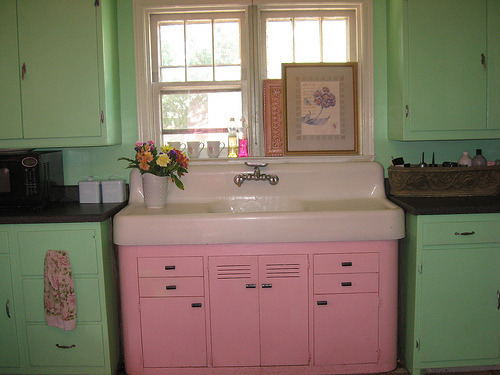 I think adding pops of pink and other pastels would look amazing with our crisp white cabinets and future subway tile. 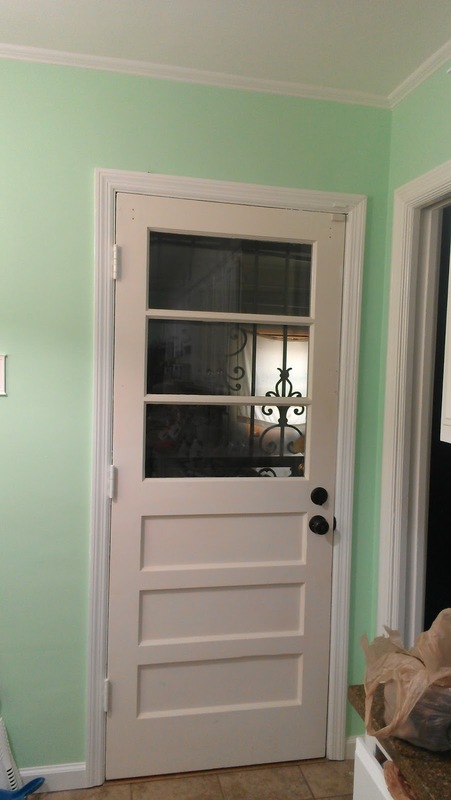 The pink door would really pop with the mint green walls behind. I think a yellow door would look nice too. But I worry that having a yellow door with green walls would remind me of mellow yellow or Sprite all day. That's not the look I am going for. Take a look at our kitchen below and let me know what you think! Should we go pink...or go yellow? I mentioned having a pink door to hubby, and he was not too keen on the idea. He would prefer yellow - if we must paint it anything other than white. However, he didn't say there was no way he would allow the pink door...so there might be some wiggle room there, ha! I happen to believe the kitchen is sort of my area. 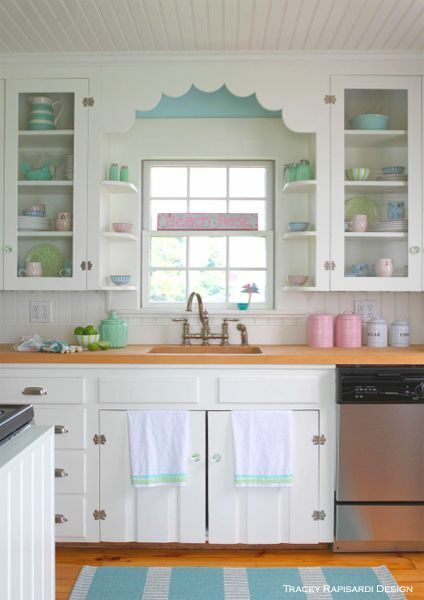 I do most of the cleaning, and would love doing so in a happy bright/colorful environment. 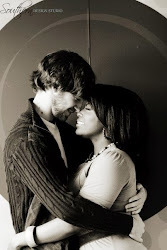 Hubby and I both cook, and I don't want to scare him away from the kitchen lol. Decisions....decisions! Off to get back to work on my kitchen. 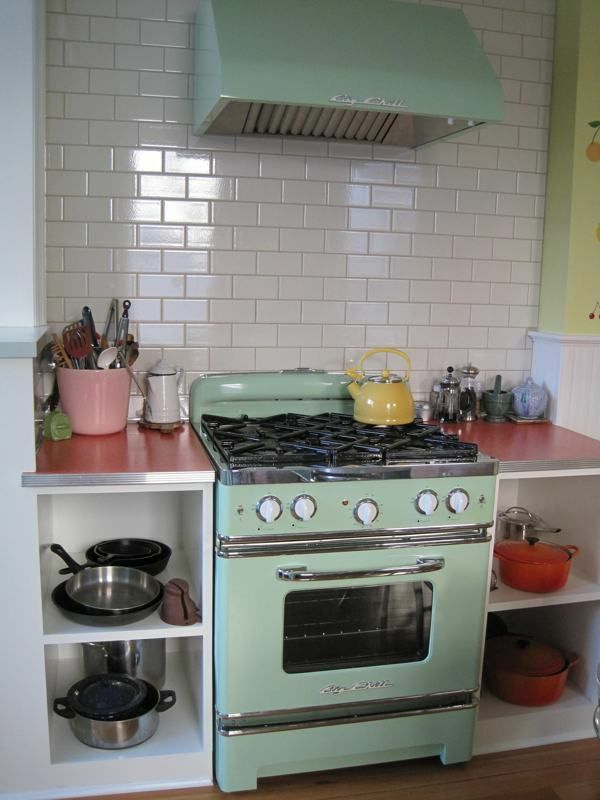 Oh, and be sure to take a look at some of my favorite retro kitchens below - enjoy!